Just a few weeks ago we had a new ALDI open near us. I have only been in an ALDI store once, and I had forgotten just how cool they are to shop in. 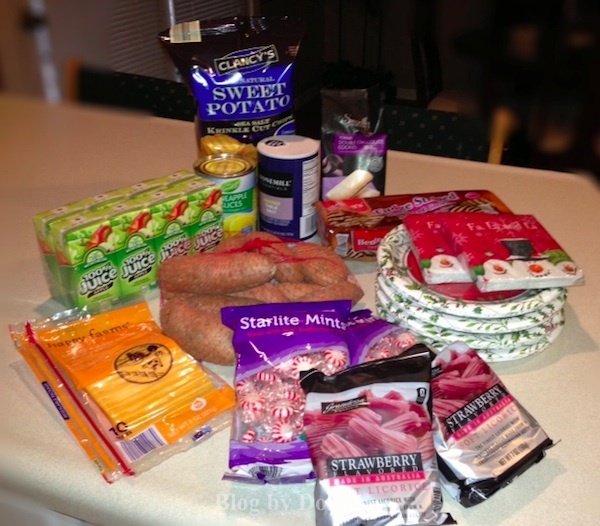 I stopped by ALDI’s a couple of days ago to pick up a few holiday things, I forgot, because I’ve already done most of my Christmas grocery shopping. I was actually quite impressed with the variety (and especially with the prices) of products to choose from. I’ve heard that ALDIs has a great inexpensive wine section, but my local ALDIs doesn’t carry wine. I was still able to get everything I needed, and then some, though. Sweeten Up the Spice – The best way to counteract any dish that has intense flavors of heat and spice is to balance your meal with a sweeter wine. The Landshut Riesling from ALDI will do the trick to counter- balance any level of super spicy heat, from Thai pepper to cayenne. Pair Similar Flavors – Check the label to see if the wine exudes flavors – like pineapple, basil or pepper – and use those same flavors when developing your recipes. For example, if the wine is described as smoky and peppery, such as the Walker Napa Valley Red Wine, then pair it up with a rich, smoky plate of barbeque or a smoked roast to complement the similar flavors. On the other hand, if the wine is described as having a pineapple or strawberry flavor to it, like the Biasini Lambrusco, add a pineapple salsa to accompany your fresh fish, or sliced strawberries to a spinach salad. ALDI makes it even easier to find the right wine by including specific details about the wine right on the back label. Note: The above tips were developed by certified sommelier and owner of Amusee, Leslee Miller, on behalf of ALDI. Select ALDI stores carries exclusive award-winning wines, most of which are priced at $6.99 or less. 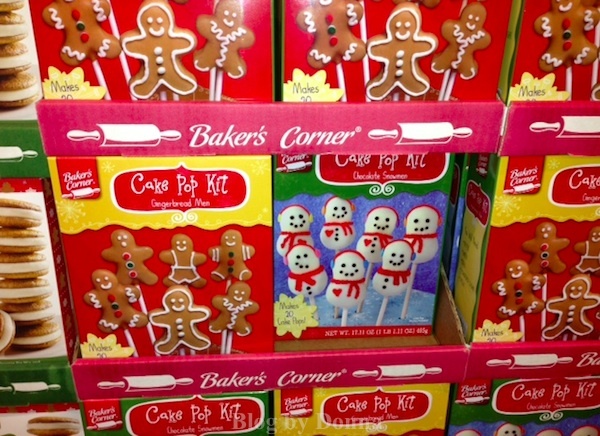 I found plenty of other holiday fare, especially for all the bakers out there. I nice selection of cookies, cakes, cupcakes, brownies, etc., to make for your holiday gatherings. I was able to find everything on my shopping list; and as you can see I couldn’t resist getting a few things not on my list. For the record, the Sweet Potato Chips are were yummy! Somewhat Homemade – Combine traditional homemade recipes with pre-made items for a holiday spread that is sure to please. Dress up your Appleton Farms Spiral Sliced 1⁄2 Ham from ALDI with an apple cider and balsamic glaze. Or, place bite size portions of L’oven Fresh Dutch Apple and Pecan Pies and Belmont Cheesecake Samplers into mini martini glasses for a chic dessert table display. Spreading Holiday Cheer – Looking for the perfect party favor or hostess gift? Layer the ingredients for your favorite family cookie recipes – like Baker’s Corner Baking Sprinkles, Coconut Flakes or Baking Cocoa from ALDI – in mason jars to make “cookies in a jar.” Or, make mini loaves of the Baker’s Corner Pumpkin Quick Bread Mix and wrap them each in a small clear bag tied with a seasonal ribbon. Another easy way to extend holiday cheer is to pack up leftovers for your guests to enjoy the next day. I look forward to my next trip when I have more time. 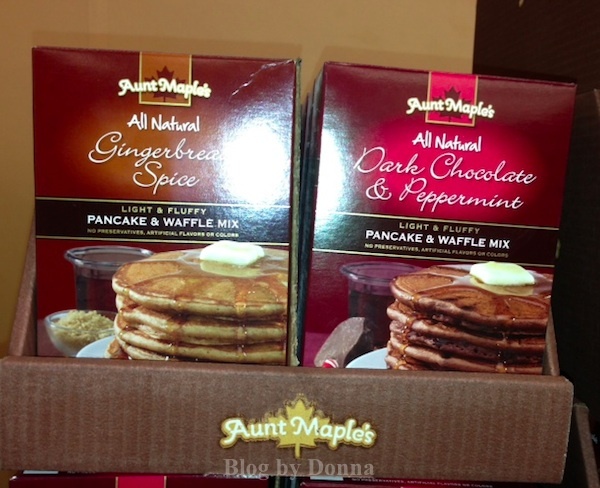 I’m definitely going to grab a box of the Dark Chocolate & Peppermint pancake and waffle mix. A perfect Christmas morning breakfast. Or as my husband and son would say… a perfect any morning breakfast. Disclosure: I participated in a campaign on behalf of Mom Central Consulting for ALDI. I received a gift certificate to facilitate my review as well as a promotional item as a thank-you for participating. I didn’t realize Aldi’s had all this stuff! Where we live there aren’t any Aldi’s stores! I used to live in the midwest and shopped at Aldi’s all the time!I sure do miss it. They had great prices and most stores now have you bag your own groceries most of the time as well so… Thanks for letting everyone know about all the great stuff they have at Aldi’s though, great for me to reminisce! I think we just got an Aldi’s in our neighborhood, I need to check it out! I am checking one out this week. 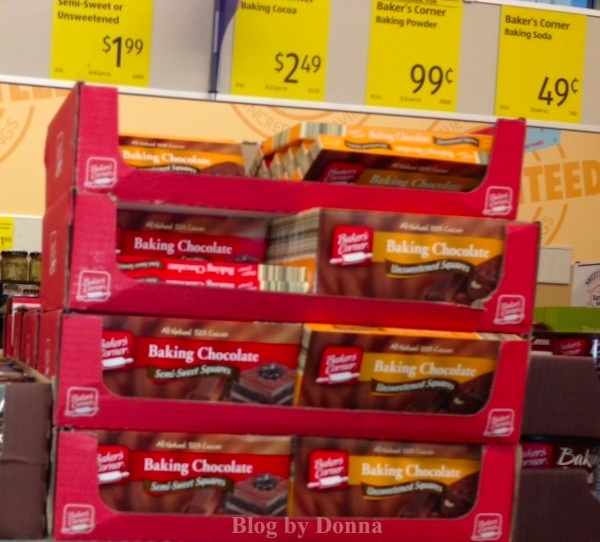 I love shopping at our Aldi’s and I agree their selection is amazing and getting better all the time. I would love an Aldi’s would come here! We had Aldi when I lived in Arkansas, but since moving back to my home state of Florida, we don’t have them here.